Meghan Markle Pregnancy Announcement: Coming This Weekend? No, really, you can now bet on this rumor, along with when Markle and Prince Harry will break their major news to the world. 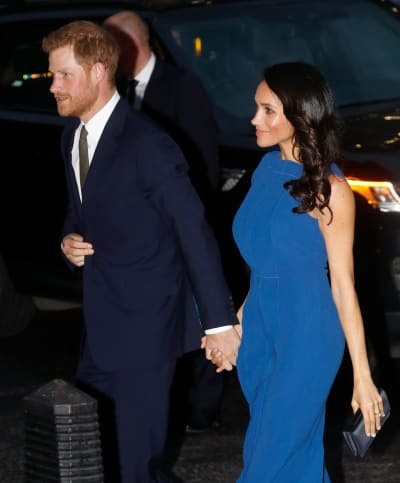 According to Bookmakers.tv and Coral, the chances that Markle and Harry are expecting are stronger than ever, with the former gambling service having slashed its odds of a Royal Baby arriving in 2019 from 4/6 to 1/5. The latter site has their odds down to one quarter. You would need to bet a serious amount of money in order to win back a serious amount of money… because these professional bookies think it’s practically inevitable that Markle is pregnant. Such chatter has been circulated on the Internet for months, but it does seem to have been ratched up of late. There’s THIS PHOTO, for instance, which many Internet users think clearly depicts a baby bump. And there’s also the nugget that Markle and Harry have reportedly asked workers to include two nurseries with the renovations being done to their new residence. Not only do these bookies think a baby is inside of Markle’s womb, they think she will make this fact public knowledge any day now. This is pure speculation, but still. It’s there. As for what Harry and the Duchess of Sussex will name their firstborn? Odds favrr James at the moment, if it’s a boy, of course. 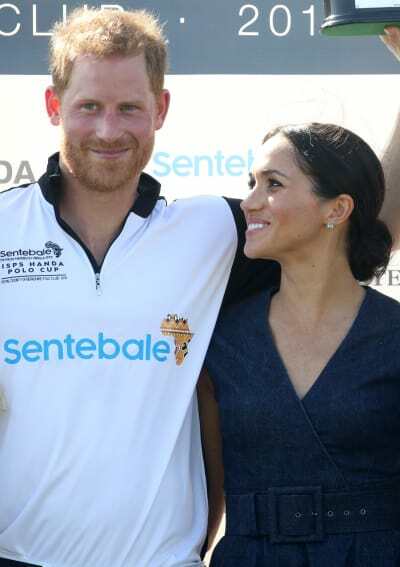 The couple is about to head out on a 16-day tour around Australia, Fiji, the Kingdom of Tonga and New Zealand, according to Kensington Palace. This could mean that an announcement is NOT likely because the stars will be so hard to reach immediately afterward; or it could mean that an announcement is imminent because Harry and Markle won’t need to deal with a gaggle of press inquiries in the days after it is made. We just don’t know for certain. 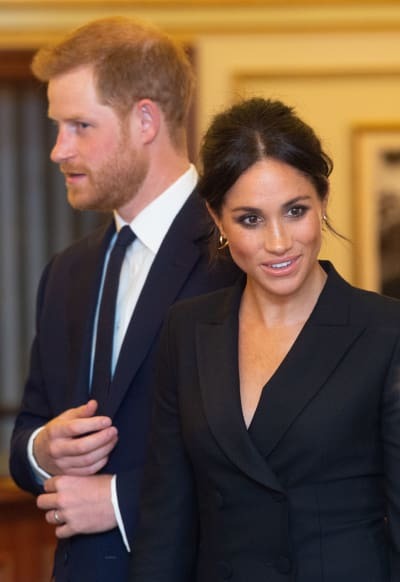 Markle and Harry have verified on occasion that they very much want to start a family. But they never really said when and they’ve managed to remain mum on the subject, even while tabloids spread various lies and gossip. 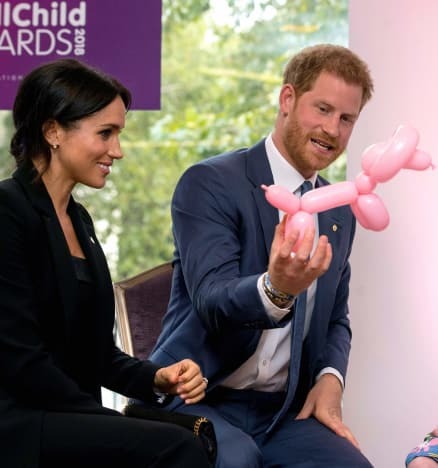 Heck, Meghan has even managed to remain quiet in the face of endless taunts and insults from her very own father and half-sister, the latter of whom recently referred to Markle as a DuchASS. 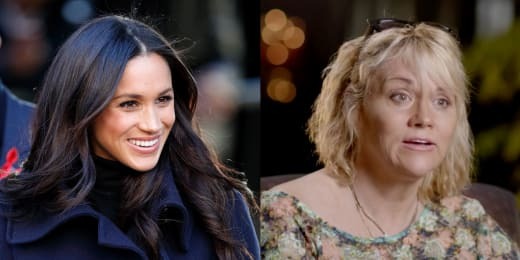 Let’s hope said this half-sister never meets Markle and Harry’s offspring. Derick Dillard: Is He Driving Away the Duggars’ Closest Friends? Khloe Kardashian & Tristan Thompson: ACTUALLY Engaged?! Next story Gina Kirschenheiter: Quitting The Real Housewives of Orange County?